VMW supplies both custom-made and system kitchens. 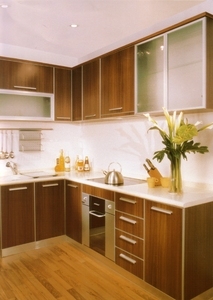 Our custom-made kitchen cabinets are made of solid wood and wood veneer panels and our modular kitchen system is manufactured using state-of-the-art German design and technology. We offer a wide variety of panel finishes and materials and an endless choice of hardware and accessories.